This page explains our approach to privacy on all our 3D Web Design web sites and how it affects our visitors. We collect anonymous statistics about your visits, like which of our pages you viewed. Some 3rd parties like Facebook and Twitter may know you visited this website, if you use their services. We can’t control them. If you sign up with us we take great care to keep your information safe and we’ll never share it with others without your express permission. We never share your data with 3rd parties except to help us deliver our own services. 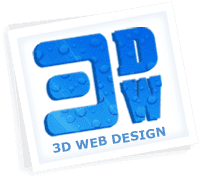 When you sign up for any of our services (paid or otherwise) 3D Web Design website will record specific personal information about you, such as your name and email address. We will also collect and store information about your use of our web services so as to improve them. 3D Web Design also log account and transaction history for accounting purposes, and to monitor our business activities. We may send you email notification regarding your service (such as invoices) or which you have specifically requested (such as newsletters or reports when your service is completed). You have the ability to opt out of any of this communication at any time. We use a variety of online payment providers to bill for our products, like PayPal and Epay.BG. These companies will have access to your personal and payment information. When paying by credit card, 3D Web Design themselves do not ever have any access to your credit card details. We share only necessary information with these companies - for the purposes of processing payments you make via our website.